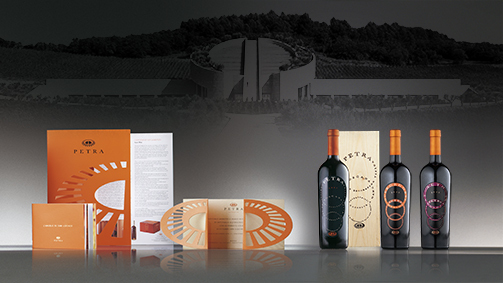 Intervista a Aldo Colonetti: l’equilibrio sensoriale tra vino e design from SGA Wine design on Vimeo. Aldo Colonetti, philosopher, historian and theoretician in art, design and architecture. Scientific Director of the IED Group (Milan, Turin, Rome, Venice, Madrid, Barcelona, San Paolo) since 1998, and Vice-President of the Francesco Morelli Foundation and the European Institute of Design. Since 1991 he has been the Director of the contemporary architecture and design magazine Ottagono, and Chief Editor of Editrice Compositori. Essayist, curator and promoter of cultural initiatives, in Italy and abroad, he is the consultant for design and architecture of the cultural direction of the Ministry of Foreign Affairs. In 2001, he was awarded the title of Member of the British Empire by Queen Elizabeth II for his achievements in cultural development. Since 2009 he has been a member of the National Council of Design, under the aegis of the Ministry of Cultural Heritage, the Ministry of Foreign Affairs and the Ministry of Economic Development. In the same year he also become a member of the Administrating Council of the Centro Legno e Arredo of Cantù. Italian design has always had a certain international appeal, why is this? Why should a foreign company entrust a project to an Italian design studio? Italian design is a complex cultural system, which is the cornerstone of specialist companies in this field. It’s not just the passport that defines what Italian design is: in many cases a design project can be considered ‘Italian’ even if it is developed abroad or created by foreign designers that work in our country. Our specificity and our international appeal are closely linked to the quality of the cultural system that Italian design transfers to the product, even when expressed through a foreign project. Every day we are surrounded by objects, but when do they become “designer”? What does it mean? When applied to any object, design becomes a determining factor not so much for the aesthetic or symbolic value it conveys. First of all, design must take into consideration the essential purpose of the object, and in meeting this end function, it must be able to make an impression on the world in the long term. Think, for example, of the Castiglioni brothers’ Arco lamp, designed in the early 60’s: it’s an extraordinary product, which accounts for a large part of Flos’ revenue to this day. A bottle, an alcoholic drinks container, or even oil bottles, liquors, sparkling wines, when do these become objects of design? When design is related to food and drink, it must respect one golden rule, which happens to be the theme of a book that I’ve been working on recently with gastronomy expert Alberto Capatti of Slow Food (Design in cucina. Oggetti, riti, luoghi – Giunti Editore). When applied to food, design must be able to express a particular synesthetic characteristic, enabling the product to attract attention and evoke a sensory reaction. Yet, when design meets the theme of food there must also be a perfect balance: the product must not be extolled beyond its actual value and content, or excessively sensationalised. In the food sector, creativity can be much more difficult than in other sectors, since it is related to a living product, which is continually evolving. Design is a phenomenon that has transformed the value of everyday objects, both from an aesthetic perspective and in the symbolic values they convey; this aspect also applies to the packaging of products. In what ways does design influence how we choose a product? In any sector of Italian and international manufacturing a product is successful if, building upon a foundation of basic quality, it undergoes its creative development coherently, in a way which complements it with the right values. It can happen that excellent products remain in the dark due to a lack of or incoherent development in this aspect; but it is also common for the opposite to happen, with products that come out of the wings or are of mediocre quality to have extraordinary success simply due to the communicative capacity and effectiveness of the marketing. Talking about packaging inevitably means dealing with the important theme of marketing: in the food sector, like in many others, packaging plays a central role, making it an integral part of the product’s development system. Since the 80’s, Italian wine has undergone an incredible evolution, which has led to a need for an aesthetic transformation. What are the implications? 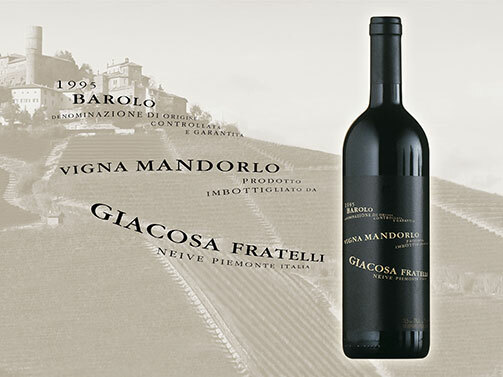 Compared to how it was in the 80’s, today Italian wine enjoys an extraordinary authority, which has matured in response to the economic crisis which forced the industry to re-establish itself by transforming along with the culture of the territory. When we design the appearance then, it is important to take into consideration the concept of territoriality, giving it value from a visual point of view, but most of all on a “multi-sensory” level. 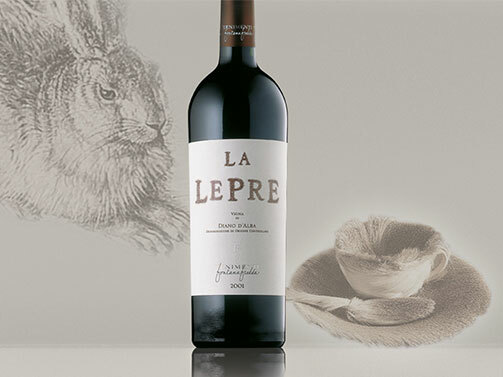 A bottle or a label, through graphics and design, should represent the stories of people, places and things, and be in tune with the entire production process. Choosing a wine implies some degree of knowledge. But this is not always the case. How much does the labelling of a wine influence the perception of quality? Wine is a product that relies upon a bottle, a label and a carefully studied system of distribution and marketing. Yet we should remember that the packaging of these products is also crucial to its success. The most distinguished wines often have quite ‘low profile’ packaging. That doesn’t mean they lack creativity, but perhaps it is concentrated in some aspects of the language used: lettering with historical or cultural significance or in a name. I’m not sure whether it’s a real rule of thumb, but I’ve noticed that it is often effective. Since the 90’s, some wineries have commissioned internationally acclaimed architects to design their cellars, creating a phenomenon that involves the entire world, in manufacturing in particular. How should an architect or designer approach a project in the wine industry? There are some very interesting examples of this phenomenon in Italy and Spain. I love architecture that, without holding back the expressivity of the architect, can integrate with the territory, working with the environment rather than imposing itself upon it. In a place of production where nature is the determining factor, a pure expression of the will and power of the architect can have negative effects. In a cellar or winery, I also appreciate the insertion of elements that symbolically represent the historical relationship between the wine and the territory. When this is respected, a prestigious winery becomes a place people want to visit, as well as a place of marketing and publicity.